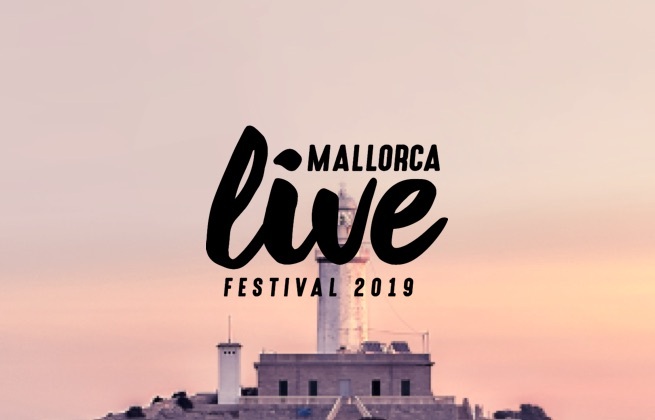 This ticket gives you access to the Mallorca Live 2019 from Friday 10th May - Saturday 11th May. This ticket gives you access to the Mallorca Live 2019 on Friday 10th May. This ticket gives you access to the Mallorca Live 2019 on Saturday 11th May. 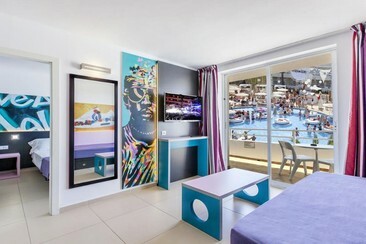 The BH Mallorca hotel is located in Magaluf, which is the party capital of the world, just 8 km from Marineland Mallorca's amusement park. More conveniently, from the property, it only takes 7 minutes on foot to the beach and 8 minutes to Katmandu Park mini-golf. Our 656 fresh, modern and versatile suites are fully equipped with safes, large flat-screen TVs with international channels and jack connection for devices, free high-speed WiFi, air conditioning, mini fridges and private bathrooms featuring walk-in showers, toilet, free toiletries, hairdryers plus full-length mirrors. Additionally, guests can have access to Island Beach Club, Mallorca’s coolest new daytime destination with 4 pool parties every week in summer, and Twisted Waterpark, the World’s first adult Water Park with 9 white knuckle slides, wave pool, and giant jacuzzis. The hotel also offers a bar, restaurant, gym, beach club featuring DJs, and open-air stage with regular live entertainment. Comfortable, private and convenient transfer! A private airport transfer from Calvià Centre to Palma de Mallorca Airport. Comfortable, private and convenient transfer! A private airport transfer from Palma de Mallorca Airport to Calvià Centre. Mallorca Live is the largest Balearic Island's annual multi-genre music festival, held during the springtime in the western town of Calvià. Hosting international stars of pop, rock, indie and electronic music alongside a wealth of Spanish talent, the festival offers an eclectic weekend of music in the Mediterranean. First held in 2016, Mallorca Live has grown over the last three years – in terms of lineup and scale, and also with regard to its recognition both across Spain and from further afield, with more than 25000 fans heading to the festival last time out. 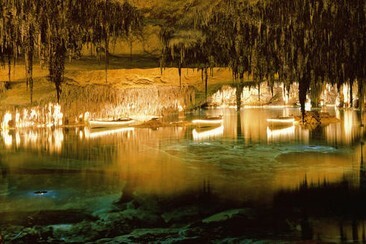 The festival takes place in Calvià's Antiguo Aquapark.